Vortex Solo monoculars are available in 8x25, 10x25, 8x36, 10x36 standard models and tactical model of the 8x36 Solo with an MRAD ranging reticle. 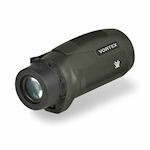 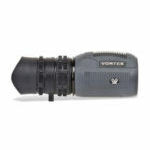 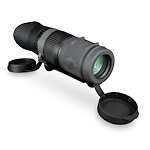 The 36-mm monoculars are fog- and waterproof with twist-up eyecups and wide field of view. 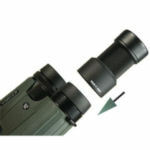 There is a The 2x doubler fits on the eyecup for any Vortex 32-mm (or larger) binocular and doubles the magnification.